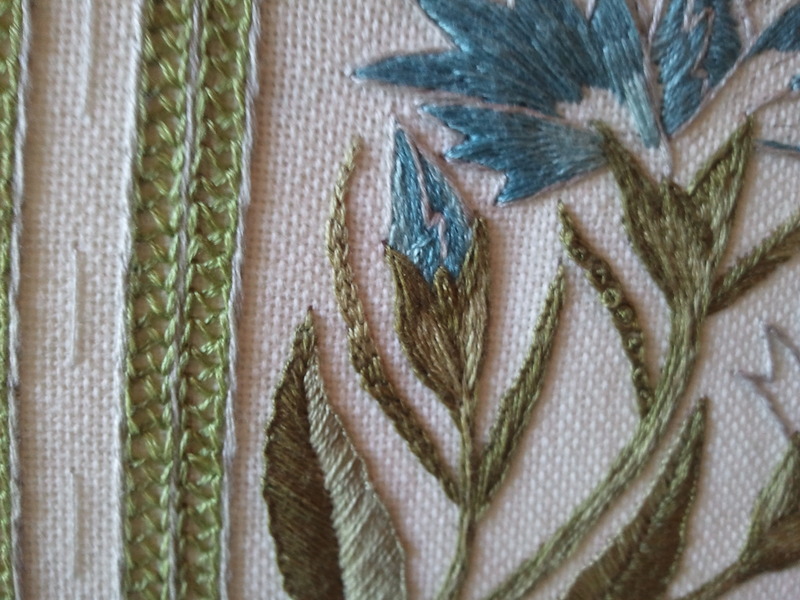 Thanks to some marathon sessions of Breaking Bad, I’ve made a little progress on the carnation needlebook. I had fun with the leaves. 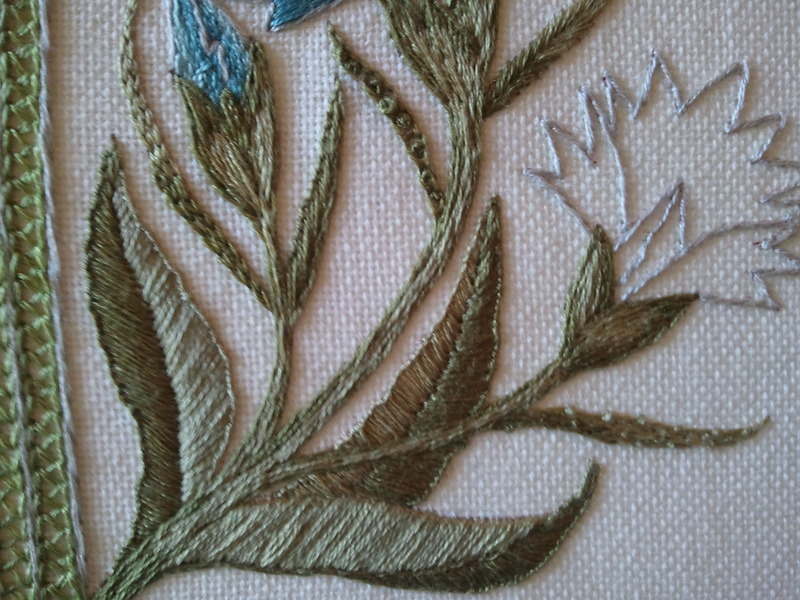 I decided that I wanted to stitch the big leaves all in buttonhole or satin stitch, for a cohesive overall look, but that on the smaller leaves, I wanted to play with different textures. 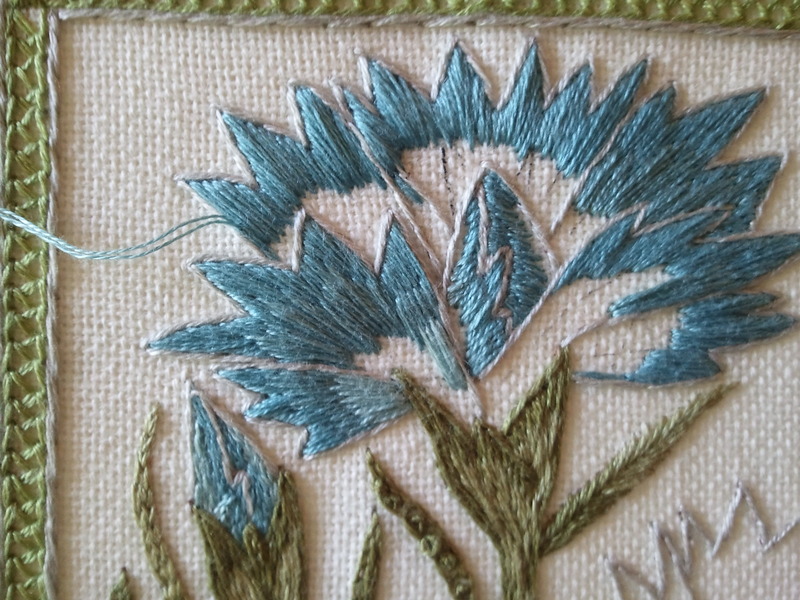 The smaller leaves are done in chain stitch, buttonhole stitch, open chain stitch filled with French knots, leaf stitch (appropriately enough,) and coral knot stitch. The bud on the left also varies from the larger, more open flowers. After not working on this for almost a week, it’s exciting to see progress ticking along.